The 8150 Flow Totaliser from GF Signet is Battery Powered with a Choice of Field, Panel or Integral Sensor Mounting. 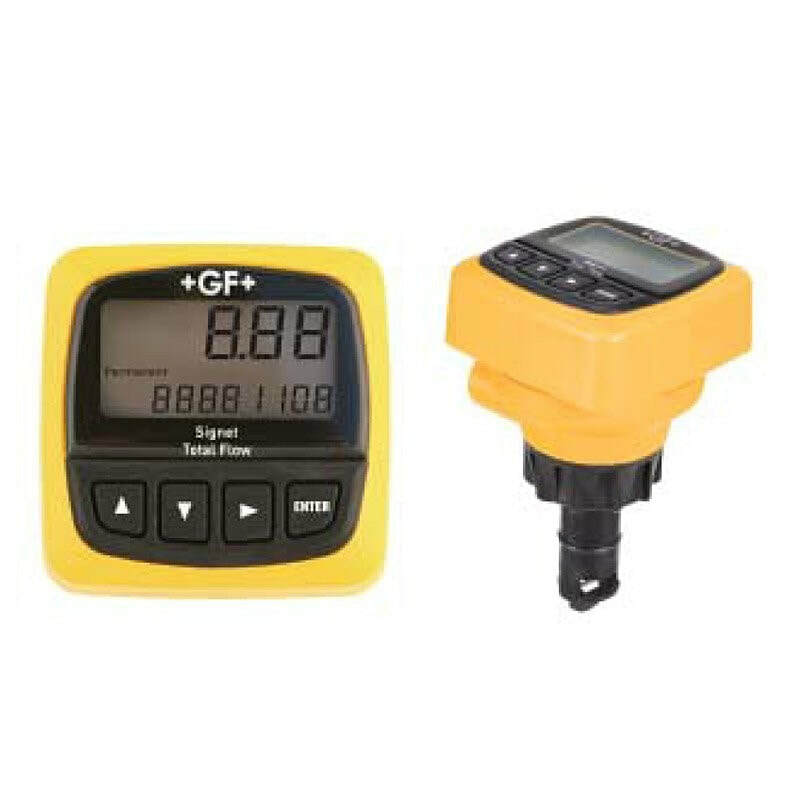 Compatible with the GF Signet 515 and 525 paddle wheel flow sensors, the large digital display indicates flow rate and totalised flow volume simultaneously. The Signet 8150 includes three totalisers, 2 resettable and 1 permanent, user selectable. Battery operated 8150 flow totaliser for use with the Signet 515 and 525 paddlewheel flow sensors. ​Battery: 2 x 3.6v lithium thionyl chloride, AA-size.